Second-generation ceramicist Eran Grebler specializes in dreidels—all kinds of dreidels. 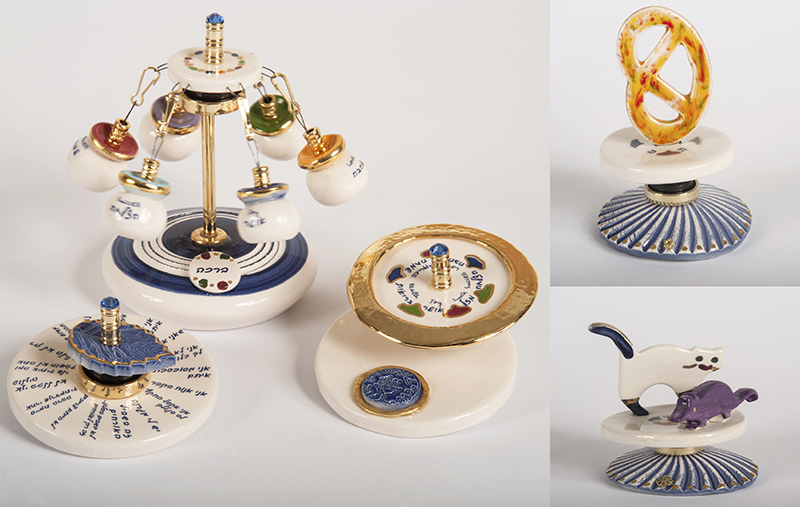 He features more than 800 types of handmade ceramic spinners in his Tel Aviv gallery and shop, The Draydel House, including this dreidel with different blessings, dreidels that appeal to animal lovers or for those snackers in your life. Dreidels range from $20 to $100. Luxury candymaker Maayan Zilberman’s company, Sweet Saba, is named in honor of her Israeli grandfather. 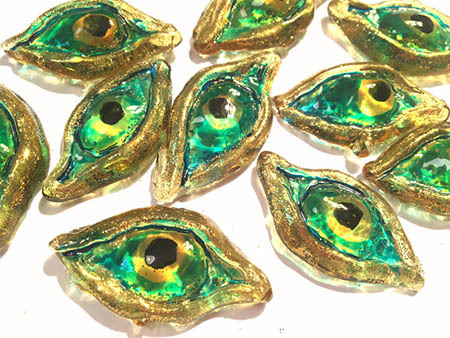 Try her gold- and silver-flecked evil eye candy, from $30. Utilizing 3D printing for machinery parts or prosthetics has become an almost commonplace miracle today. It’s therefore hardly surprising that Judaica designers are using 3D printers and 3D printing marketplaces, too. The Matryoshka dreidels by the Israel-based Studio Armadillo, a set of three nesting tops, come in an assortment of bright colors, from fuchsia and blue to orange. 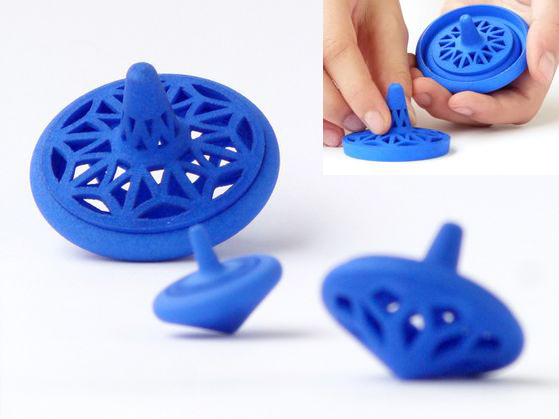 They can be purchased, starting at $63, from Shapeways, a sort of Etsy for 3D printing that has over 500 designers from Israel at its online marketplace; search for Studio Armadillo at shapeways.com. The minimalist acrylic Apeloig Mezuzah, designed by sisters Gabriela and Daniela Apeloig, comes in a bright array of colors and three sizes. Small from $85, medium or large from $95. Globetrotting designer Sylvie Boksenbaum uses sun-drenched colors in her surprisingly light hand-crocheted jewelry. Check out her cuff bracelets (above), from $325, and necklaces, from $630. 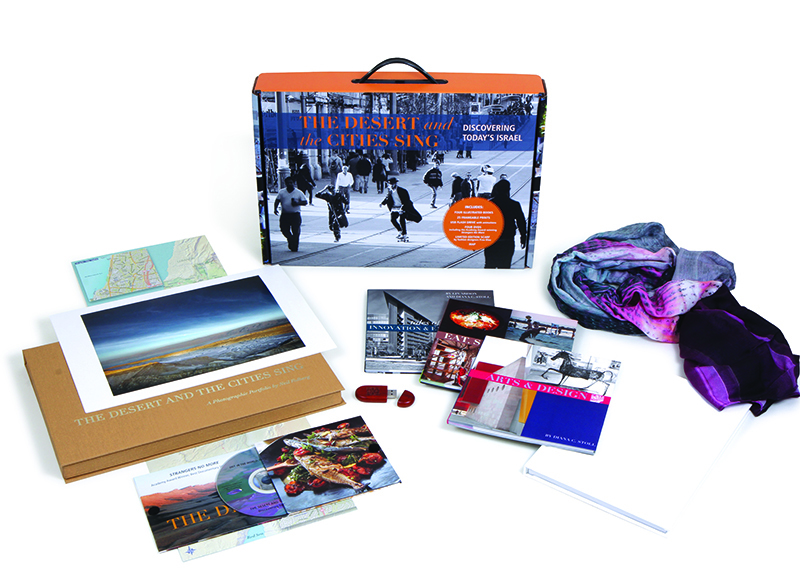 Think of this curated boxed collection, The Desert and the Cities Sing: Discovering Today’s Israel: A Treasure Box , from Chronicle Books, as a sampler of Israeli culture, from fashion to technology to food. Among the goodies are a limited-edition scarf from fashion house Frau Blau, a documentary on Israel’s food scene and stunning landscape prints by photographer Neil Folberg, from $125.